First-quarter report card. The first quarter is over, so it’s time to take stock and to cast our eyes forward to the second quarter. Bottom line: the USD held up well and we believe this will remain the case until the middle of the year. Our outlook. Solid economic prospects remain intact for the US. When will the US economy end its lengthy expansion and fall into recession? This question is hotly debated by financial market observers. And the situation is in fact less clear than it was six months ago. The data still suggests that a recession isn’t lurking around the corner, even though growth will likely be lower than it was in 2018. Our overview. Revisiting the Swiss franc’s valuation. As March 2019 ended, the Swiss franc appreciated to its strongest level against the euro since last September, leading to market speculation about the exchange levels the Swiss National Bank (SNB) would tolerate. 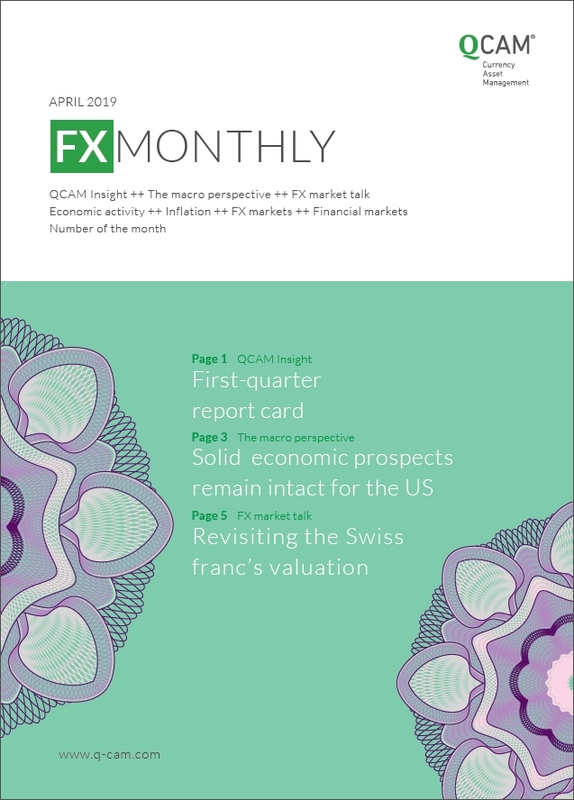 Our assessment of the Swiss franc.